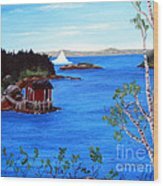 Grounded Iceberg by Barbara Griffin - 8.000" x 6.250"
Grounded Iceberg wood print by Barbara Griffin. Bring your artwork to life with the texture and added depth of a wood print. Your image gets printed directly onto a sheet of 3/4" thick maple wood. There are D-clips on the back of the print for mounting it to your wall using mounting hooks and nails (included). 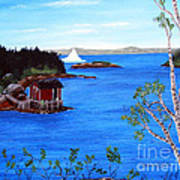 Barbara~~a beautiful Newfoundland seascape painting! Eye-catching colors and details! F&L&T! Thank you so much Will! Appreciate your comment and promotion! Thank you Sunny for visiting and the encouraging comments, vote and favorite! Wow.. this is breath takingly beautiful !!! Thank you so much Xafira! Nice colors! Looks very soothing Barbara! 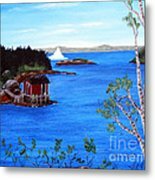 Grounded Iceberg by Barbara Griffin. 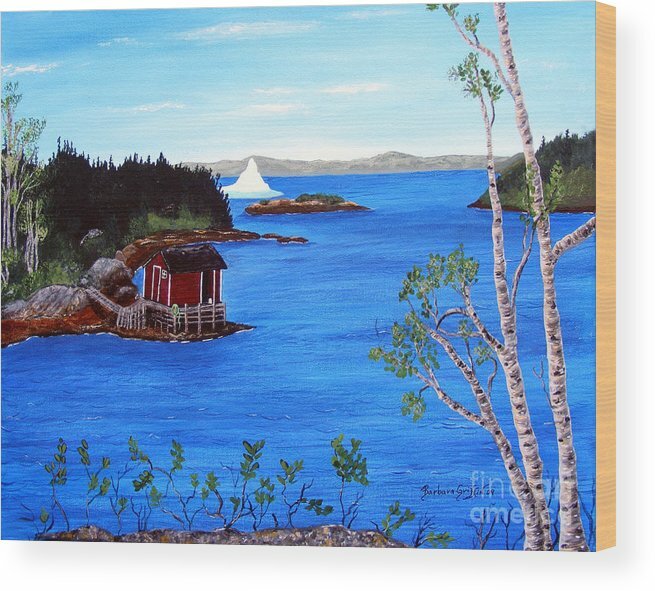 A picturesque little cove with a fishing shed has a visit from a passing iceberg. The iceberg becomes grounded at low tide and will melt as the sun becomes warmer.